Here at Nautal our passion is not only to sail ourselves, but to ensure that sailing is accessible to everyone around the world. We love to share our favourite sailing routes, the coolest spots to anchor, hidden beaches, coves, restaurants and all the other secrets we have learned along our journey as a team. We also enjoy nothing more than hearing about other people’s adventures, especially fascinating stories from those whom have taken the plunge and devoted their life to cruising the ocean. Therefore we have followed, laughed along with, and been truly gripped by the blogs of sailors around the world; a few in particular which we are excited about sharing with you! 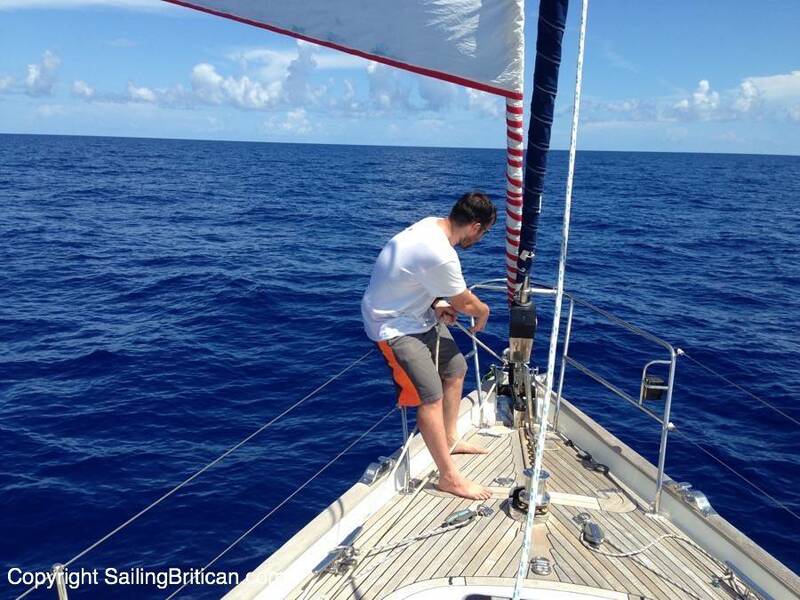 Here is the first part of a series of blogs featuring our favourite sailors. 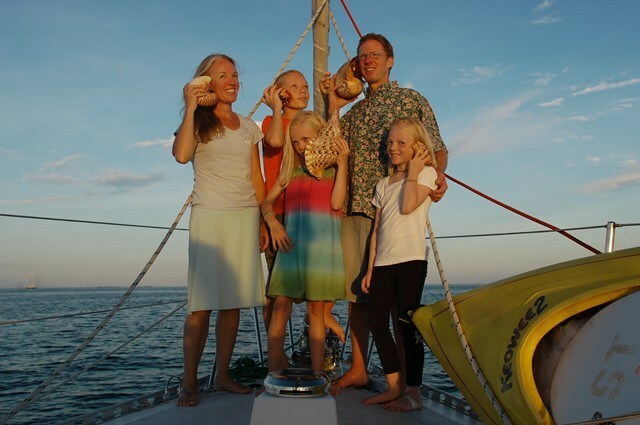 Meet Behan, her lovely family and their boat, Totem ! Her husband is Jamie and their three children are Niall, Mairen, and Siobhan. Not to forget their beloved boat ´Totem´. In 2008, when the children were ages 4, 6 and 9 they put their plan to work and ventured out to the open water. This was a big step for this family, as they moved away from their full time jobs and busy schedules in America, to a minimalistic life of sailing. Behan shares their day to day life on the boat and their experiences travelling through their blog. Her writing is very honest and educational for anyone thinking of selling up and heading out on the water themselves. Behan has also written a book called ´Voyaging with kids´ which is a very interesting read for anyone. What inspired you to pack up your life in America and sail? Was it a hard decision? My husband and I always planned to pack up land life and sail into the sunset “someday”. We can’t imagine a better way to live right now: an incredible education for our children, growing up as citizens of the world. We reached this point not just because we love to sail, or love to travel, although both of those hold true. More fundamentally, it was the desire to live a simpler life, a place apart from the unnecessary consumption of the modern first world. The desire to teach our children respect for our fragile planet by living with a light footprint. The desire to embrace live in the now, and not postpone it for an amorphous “someday.” And the desire to give our kids “impossible” childhood memories, like the time they spotted proboscis monkeys swinging through trees next to the boat, summited a volcano with a barefoot guide, or swam with whales. What were your main concerns about having children on board? When we first planned this dream, we had fears of our own, and heard more from our friends and family. Looking in from the outside, most people wondered about pirates and storms. How would we avoid them? What would we do? Others wondered about our children’s education. How could we possibly manage to keep this up for three children? What about the standardized tests in our home area? And then, oh my, the countries we planned to visit- starting with our first stop, Mexico. Isn’t it dangerous? Everyone has heard horror stories on the news. We were asked- how could we possibly place our children at risk? (and the unspoken accusation: how dare we!) These fears are overwhelmingly unfounded, based on a mix of misinformation, lack of information, and media focus. Do you find that homeschooling the children on the boat, and giving them the opportunity to travel the world is more beneficial than sending them to a public school? As a traveling family, opportunities to learn from the environment around us are myriad and our educational path is heavily influenced by our surroundings. The children who couldn’t swim when we left home became human fish in the span of a few months in pretty, warm waters of the South Pacific. Their passionate new interest in marine life was the foundation: we based learning in science, reading, and writing around this interest. Before long, the 10-year-old kid who ‘hated’ reading was now deep in high school biology textbooks, learning species classification, and teaching us about the world underwater. When we spent three months sailing through islands in Papua New Guinea, the legacy of World War II was physically present in the gun batteries, plan wrecks and human experiences revealed in nearly every island we visited. This placed WWII history on top of the learning menu: surrounded by this palpable history, by the stories told by people for whom the war was living memory, that learning was fascinating. In South Africa, the legacy of apartheid was painfully captured and present in too many ways to ignore, even if we hadn’t been specifically interested in learning about that sad chapter. Our son recently completed the GED, a requirement one of the colleges he’s applying to asks of all homeschool applicants. As he prepared for the test, the difference in how we learn and how education is traditionally delivered have come into sharp focus. He has truly benefitted from a richer education by having the opportunity to learn not just the facts and figures that our culture says are Important to progress in education, but to learn them in context of the bigger world, his place in that world, and his opportunities to make improvements. That, I believe, is the greater purpose of education fulfilled. 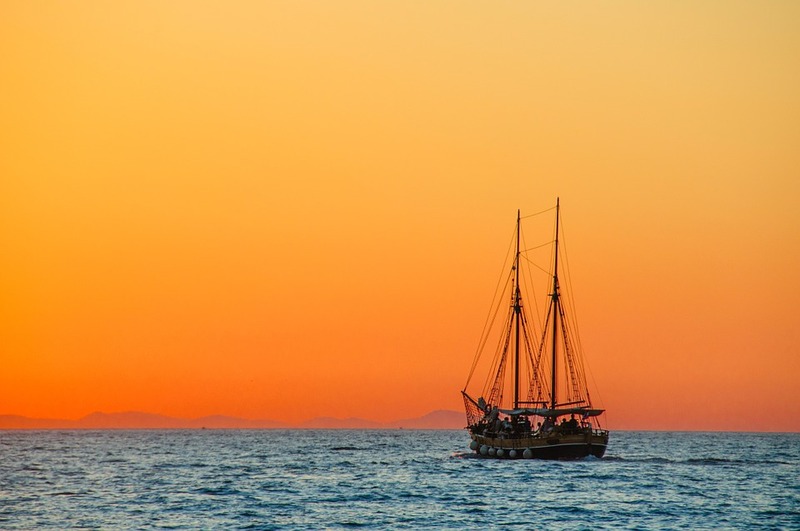 What has been your biggest life lesson since setting sail? That the world is full of beautiful people, largely safe and friendly and open. Sailing Britican is in fact the name of a 56´Oyster sailing yacht belonging to a family of 3. 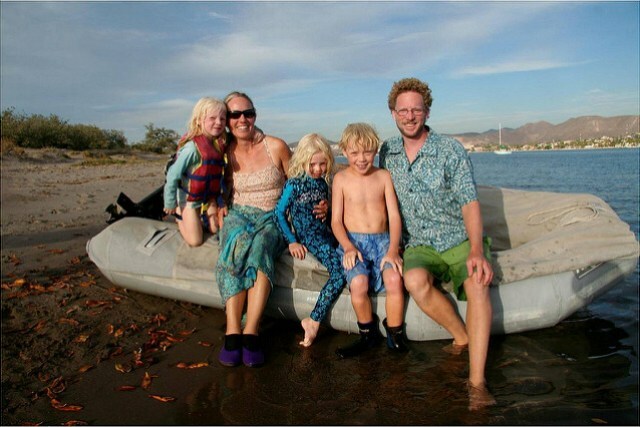 Simon is British, and Kim is American, hence the name ´Britican,´ and their daughter Sienna is both.Their boat was originally built in England, but Kim´s blogs reveal their adventures around The Mediterranean, Atlantic Ocean, Caribbean and the east coast of America. It is recorded that they have racked up 18500 miles of sailing since they bought their boat. If you´re a beginner, or an experienced sailor, this blog is for you either way. 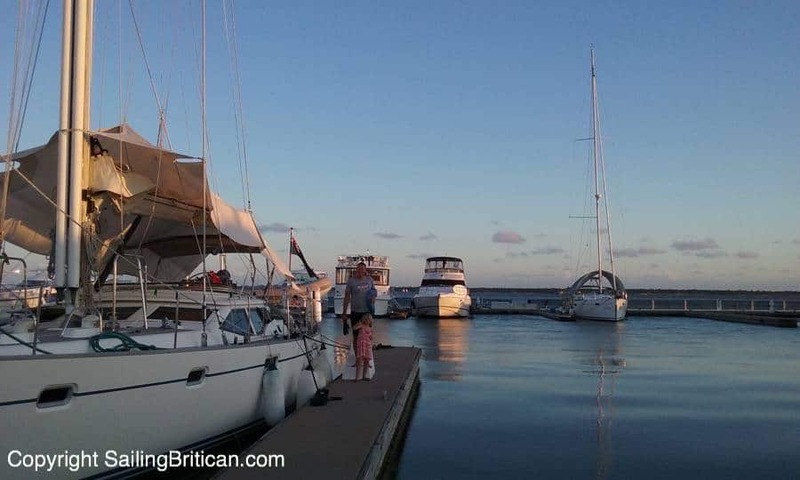 Through reading her blogs you will gather extensive information about owning, maintaining and sailing a boat, whilst enjoying her smooth flowing writing style. If reading isn’t your thing and you prefer more of a visual way of following the Brown’s life aboard a boat, there are vlogs to go with ⅓ of the articles on Kim´s blog. There are over 300 articles available for you to read including their journey so far, marina reviews, cooking and more. 1.What inspired you to pack up your life in the UK and sail? Was it a hard decision? After spending eight years building up a successful business in the UK, I was tired. Further, I felt as if time was passing quickly and I wasn’t enjoying my daughters early years. 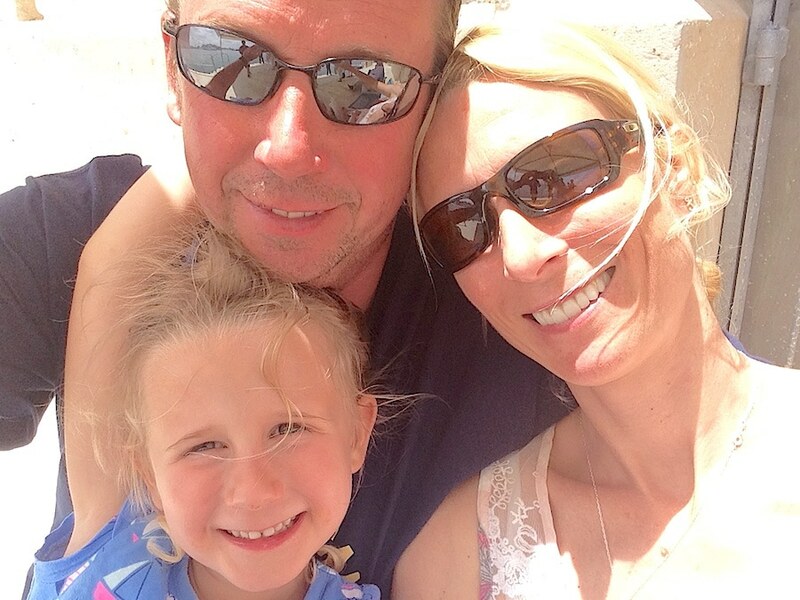 My husband, Simon, quit his job to look after our daughter and I kept working. The more I worked and the less I spent time with my family the more I yearned for a break. I felt as if I had loads of money but no time to enjoy it. My life was work, work and more work. And for what – more money?! One day I decided enough was enough. With my daughter at the age of three years old, I discussed my decision with my business partner – we were 50/50 owners. One thing led to another and over the course of several months I was able to leave my company through a management buyout. It was a very difficult and stressful time but looking back, it was the best decision I ever made. 2. What were your main concerns about having a child on board? My main concerns at first were safety, education and social matters. With a young child your worst fear is them falling overboard! My husband and I set boundaries, applied rules and ensured our boat and our procedures not only kept our daughter safe, but all of us. As far as education was concerned, I started homeschooling Sienna while we were actively sailing. When in port for a winter or hurricane season, I’d seek out schools. For example, while wintering in Sicily, Sienna spent six months going to an Italian pre-school. Homeschooling has moved on very much in the last several years – the options available are fantastic. Regarding social matters, I was worried about my daughter having friends to play with. Out of all my concerns, this one really was unnecessary. Sienna made friends everywhere we went – sometimes the children didn’t speak English, but that didn’t matter. More often than not, we’d find other ‘kid boats’ and we’d stick together for months traveling from one spot to the next. 3. Do you find that homeschooling Sienna on the boat, and giving her the opportunity to travel the world is more beneficial than sending her to a public school? 100% – Yes. Instead of showing Olympia to Sienna in a book, we took her there. Sienna ran across the same track that the very first Olympians ever used. Rather than watching a documentary on Pompeii, Sienna walked around the ancient city learning more and more as we made our way around. Sienna has tasted foods from various cultures. Experienced local festivals, carnivals and religious holidays. She has made friends with English speaking and non-English speaking kids from age three to eight-three. In addition to learning about our amazing world by seeing it – the cultures, languages, customs, traditions, history and so forth, Sienna has also benefited by learning about marine life, the weather and nature. 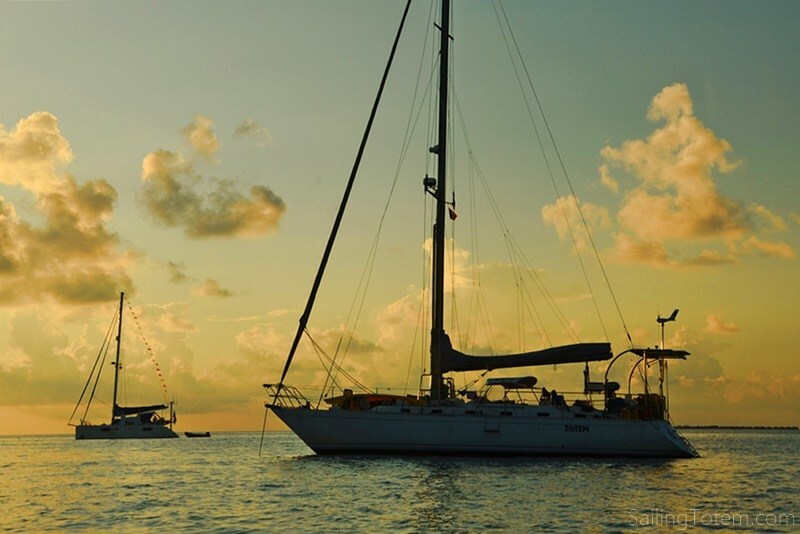 When at anchor we snorkel often and spend time pointing to the sea life we saw. When spotting dolphins or whales we refer to our books to determine what species they are. While sailing long distances, Sienna can look at the clouds and forecast the weather – is there a high or a low? Is that a squall in the distance? Sienna can tell you. 4. What has been your biggest life lesson since setting sail? So…my biggest life lesson since setting sail is that I found a way to live life where I’m much more fulfilled. I didn’t feel like I quite fit in on land… I didn’t like the lack of community where I lived. I felt that everyone was rushing to work, rushing home, rush, rush, rush… A boat teaches you to have patience. The people around you teach you kindness, support and connection.